My first visit to South America was last year and I must say that before the trip (it was to Uruguay), I realized that many American wine consumers think that South America is all Malbec. Well, pretty much all Malbec. While it is true that Malbec may be a signature grape in Argentina, it isn’t all that grows there. According to Wines of Argentina data, Malbec runs about 36% of red wine. Next up, with about 16.5%, is Bonarda. Cabernet Sauvignon, Syrah, Merlot and trickle down from there. Flip the script to white wines and the biggest cultivar is Torrontés Riojano at about 20% then Chardonnay with 16%. Following are Chenin Blanc, Sauvignon Blanc and Torrontés Sanjuanino. Interestingly, the biggest category for white wines is “other”, socking the system at nearly 43%. 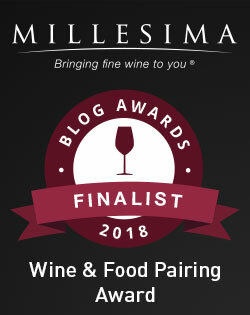 Wine friends, you know you want to swim around in the “other” category and taste all the unique varieties enmeshed there, right? Me too. I’m not picking on Malbec here. In fact, when I recently covered Canvas Wine Lodge, a Relais et Châteaux property located in Mendoza, “Malbec brings Argentina to the world,” was one of the themes. Wines of Argentina calls Malbec a flagship, stating that Argentine plantings are the largest in the world. Readers of L’Occasion are familiar with the variety in native form in South West France, where it has been called Cot and Auxerrois and is tied intimately with Cahors. It’s also a familiar factor in Bordeaux blends. But didn’t I say this wasn’t a story about Malbec, singularly? I pulled out a few wines that feature other varieties, Argentine bottles with Malbec as only a portion of the blend or absent entirely. On January 12, 2019 our Wine Pairing Weekend group rallies around Twitter to have a chat about wine and food from Argentina. And, YOU are invited. Find our hashtag, #WinePW and please do say hello and join in. Jeff is our host at Food Wine Click! presents “Party Guaranteed: Pulled Pork and Argentine Wine”. Thanks to Jeff for pulling the event together! Please be aware that some (many) of the wines featured on L’Occasion are media samples. This means that they were provided to us on a complimentary basis, to taste and hopefully include in a story or review. We are never paid anything here on L’Occasion and we are never obligated to present wine to readers in any way. Torrontés is a terrific and under-appreciated wine, and very reasonably priced. A lot of French influences in Argentine wine, I’m learning. I had the chance to write about Clos Apalta and the Lapostolle legacy, which follows this pattern. Such delicious wines, Jill, that are of amazing quality at an incredible value. Cheers! I really liked your pairing ideas. Particularly the smoked beef ribs and the cashew peanut bar mix that I would like to try! Argentina = ripe lush malbec & torrontes. Guilty. I’m so glad I had the opportunity to expand my experience this month. Now I want more! I do too! It was a fun month! Pingback: Argentina’s Upping its Wine Game #WinePW – What's in that Bottle? I think the over production and marketing of Malbec has hurt Argentina in the US wine market, esp because much of it is lower quality bulk. Like Australia with Shiraz, Argentina needs to steady plot a remarketing to educate consumers on the range of wines they produce. It is easy to link an area to just one type of wine. Look at Provence and Rose wines. I appreciate learning of other wines offered in areas to which only bring to mind one varietal. It’s fun to broaden the scope! A nice reminder, Jill, that Argentina is about much more than Malbec. Makes me thirsty! It’s great that you highlighted the fact that there is more to Argentina than Malbec Jill! Very informative! Lots of great information here on Argentina’s wines and the wide range of choices! I would have guessed Malbec was a higher percent of the red wines from Argentina! Good info to to put that grape in perspective along with all the other wine that is available from the country. A great reminder of all the great offerings in Argentina!